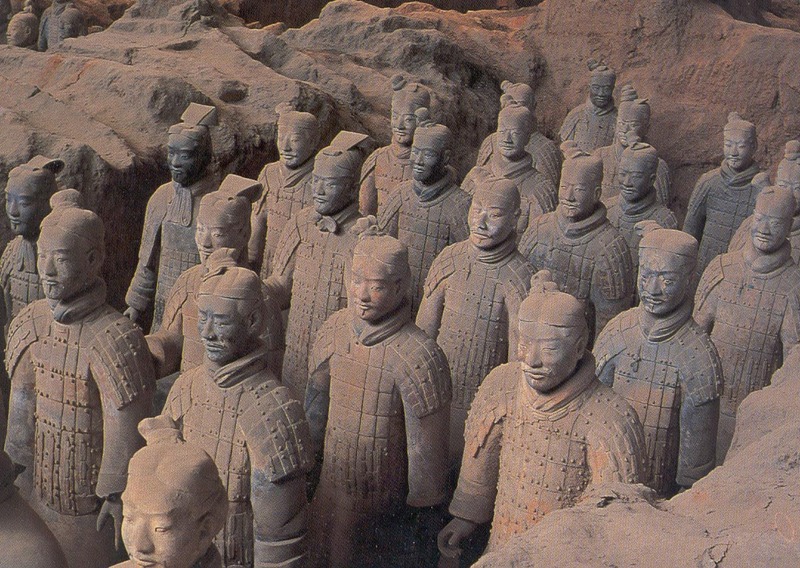 The armies of Ch'in shih-huang-ti! Each figure is 25 ~ 28mm in scale (foot to eye), and is compatible with all major manufacturers. Each pack is composed of four (4) foot, three (3) mounted figures, or one (1) chariot with crew. Each Q1-Q8 FOOT pack (4 figures) is $7.50 US, each QM1-QM3 MOUNTED pack (3 riders and mounts) is $11.50 US, each QC1-QC3 CHARIOT pack (1 chariot with 3 crew) is $18.50 US, and each Qin banner sheet (4 flags) is $3.00. Each pack is supplied unpainted, but comes with weapons and shields integral. Each pack contains several poses or variations (number noted). The images on the link above may take a few minutes to load depending on connectivity. 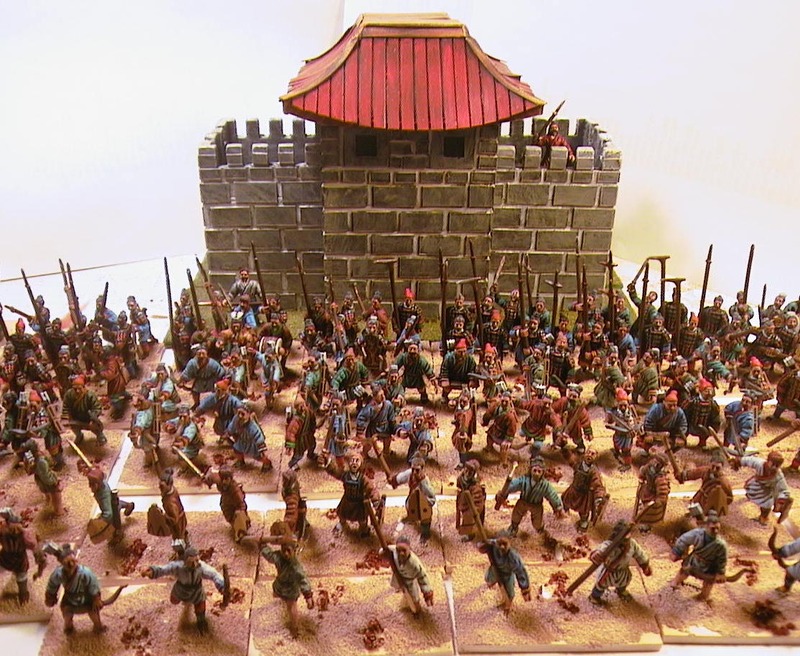 The PHOTOS link on the Molniya Miniatures Home Page has colour pictures of one of our Qin armies.